More people than expected received a Christmas bonus in 2017 according to research by One4all Rewards – however, companies may be missing out on savings by not taking advantage of beneficial tax exemptions. This research examines Irish business’s understanding of Benefit In Kind and consumer attitudes toward employee bonuses and rewards. Results imply that Irish businesses may be missing out on a considerable saving each year by awarding bonuses without utilising this important exemption. The Benefit in Kind allowance, or BIK, is a Small Benefits Relief provided by the Government that allows Irish businesses to reward their staff with up to €500 in non-cash benefits completely free of tax, USC or PRSI. 43% of Irish workers say they received a Christmas bonus from their employer in 2017. This is much higher than expected – similar research undertaken before Christmas showed that just 25% expected they would get a bonus before the holidays. Just 25% of respondents say that their employer utilised BIK to award staff with Christmas bonuses in 2017. On the flip side, one fifth of Irish employees (20%) say their employer did not use the Benefit in Kind (BIK) exemption to reward them with a Christmas bonus in 2017. One4all has calculated that Employers who do not use this exemption could be wasting over €650 per employee. 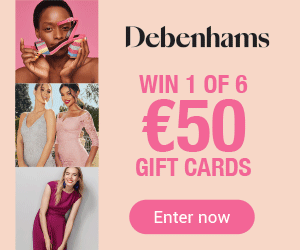 If a bonus of net €500 is paid through the payroll, businesses could be paying a total of €1,153.65 including added taxes – meaning a gift card exemption could save them up to 57%. There are still a number of employees who are unaware of how they are rewarded however; (39%) were unsure as to whether their employer used this initiative. Employee satisfaction concerning rewards is mixed, according to these results. Around a third (32%) of Irish workers are happy with how their employers rewarded them in 2017. However, almost a quarter (23%) picked ‘Strongly Disagree’ on this question. Almost half of employees (48%) reckon Christmas bonuses should be based on individual performance; just over one fifth however (22%) say that bonuses are based on individual performance at their own company. 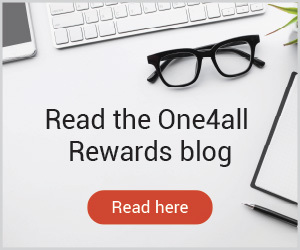 “At One4all Rewards we are constantly championing the BIK allowance of up to €500 in tax free non-cash benefits as a huge boon for Irish employers seeking to reward staff – and not without good reason. Companies who pay Christmas bonuses but don’t utilise BIK could be losing thousands as a result. Despite low expectations among workers before Christmas, a large number of employers decided to give a bonus in 2017 – but close to one fifth missed out on savings from BIK.